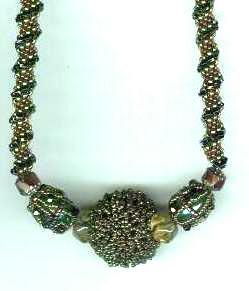 Kathleen Lynam is our bead weaving instructor at The Center for Beadwork and Jewelry Arts in Nashville. She teaches our Stitch of the Month program, as well as intermediate and advanced classes in bead weaving. Kathleen, by profession, is a puppeteer. She teaches Head Start teachers and Elementary School teachers how to use puppets to teach concepts, history, health care, among other things. As a teaching artist I am affiliated with several institutions: The Tennessee Performing Arts Center oversees the regional Wolf Trap Institute for Early Learning through the Arts and ArtSmart programs. I have been a Wolf Trap artist since 1992, working extensively in the preschool classroom providing one week or seven week residencies. By partnering closely with the classroom teacher, each residency provides original songs, stories, and activities that are developmentally appropriate, educationally sound, and awaken the student’s curiosity for learning. A Master Artist with Wolf Trap since 2001, my workshop, Let Your Voices Be Heard: Using Puppets to Bring Stories to Life, has been presented to teachers throughout the United States. 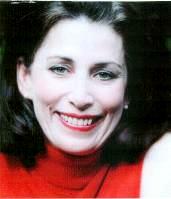 I became a teaching artist with the ArtSmart program in 2006. This meaningful program prepares students to understand/appreciate a particular performing or visual work of art. A unique partnership with teaching artists, educators, and students creates intense explorations of the work of art. Value Plus is a program sponsored by the Tennessee Arts Commission. This five year reform model provides residencies that integrate learning through the arts into non-arts subjects such as math, science and language arts. As an artist, I am particularly drawn to color, texture, and sculptural design. I have been commissioned to make puppets by universities, historic homes, and private individuals. I have designed, sculpted, painted, and dressed all of the puppets used in my shows. I have made hundreds of colorful puppets from simple finger to complex foam puppets that are used in the classroom. Over 700 hand sculpted finger puppets were sold nationwide by Crizmac Arts Catalog. In 1999, the Virginia Museum of Fine Arts purchased my Master Artist series of puppets featuring Van Gogh, Gauguin, Picasso, Kandinsky, Monet, and Chagall. Combing a love of bead art and puppetry resulted in a well-reviewed show at the Appalachian Center for Crafts in Smithville, TN in 2002. As a bead artist and teacher, my original patterns and designs have been published in Beadwork Magazine and Netted Beadwork by Diane Fitzgerald. My beadwork is currently on display at the Open Window Gallery in Nashville. I love teaching classes on bead weaving at Be Dazzled Bead Store in Nashville, Tn. My students have proven time and time again that they are brilliant, innovative, and a whole lot of fun! These classes are designated “Stitch of the Month” and are designed to teach 12 major bead weaving stitches/techniques. Each class provides a history of the stitch, how to basics, variations applicable to the stitch such as decreasing/increasing, flat/ tubular, and most appropriate beads. Students will work on mastery of the stitch by creating a bracelet. This entry was posted on March 5, 2009 at 2:28 am	and is filed under bead weaving, beads, beadwork, Workshops, Classes, Exhibits. 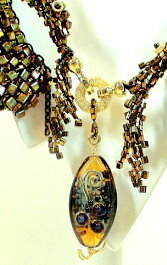 Tagged: bead crochet, bead embroidery, bead weaving, beading, classes. You can follow any responses to this entry through the RSS 2.0 feed. You can leave a response, or trackback from your own site. Very beautiful stuff! We love beads and jewelry at AshBlue! Hope you continue to do well and doing what you love!